PASSENGERS No More has been used as the definitive reference guide to closed lines and stations for many years, but for the first time, comprehensive maps, along with the list of closed passenger stations and closure dates, has been brought together in a handy A4 book format. All lines are colour-coded and show current open lines, with different colours being for closed lines, depending on which decade closure came. Areas where there is a high concentration of lines and stations – such as the Welsh Valleys, Manchester and Birmingham – have enlarged portions for clarity. Maps take up 45 pages, followed by 30 pages of black & white images of stations before or following closure. 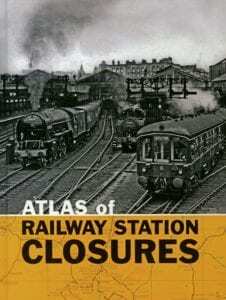 The remainder of the book, some 75 pages, is devoted to an A to Z of all stations – open stations in green; closed stations in black, along with closure dates; original operating company and map references; and all cross-referenced to the other sections. Where stations have reopened, the original closure date is shown. While it is unrealistic for the reviewer to cross-check every entry for accuracy, the publisher has acknowledged, as a first edition, there will be errors and is collating them to correct in the next edition. One minor point is heritage lines which have reopened in the preservation era are not differentiated on the map in any way or through the gazetteer, so there is some reliance on railway knowledge. Crecy Publishing, ISBN: 9780860936770, Hardback, illus, 297mm x 210mm, 160pp, £25. Read more Reviews, Opinion, News and Features in the September issue of The RM – on sale now!